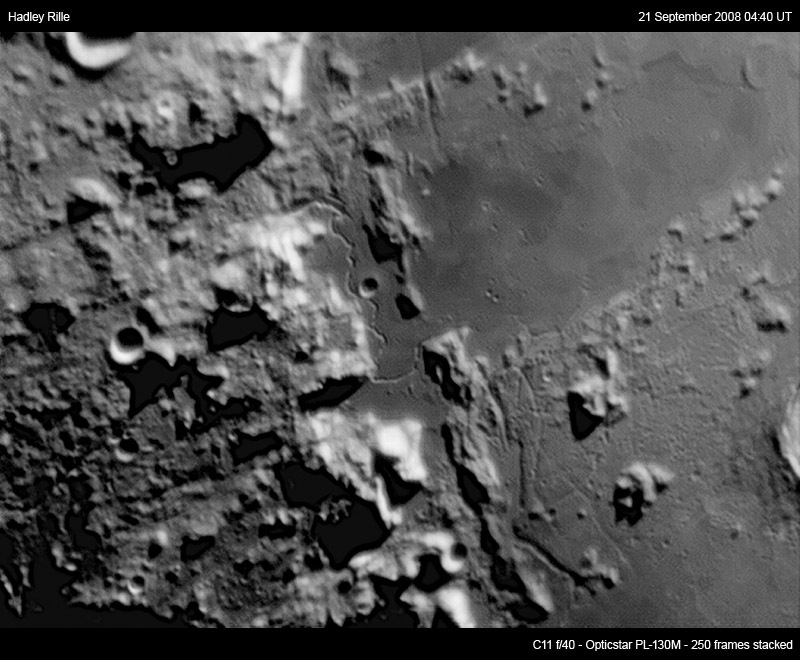 My favourite place of the Moon is Hadley Rille in the Apennine Mountains. Hadley Rille was visited by the Apollo 15 mission. It winds its way around a small round crater - Hadley C (4mi). During the Apollo 15 mission, astronaut David Scott took a picture of James Irwin and the Lunar rover with Hadley Rille in the background - check it out on NASA's website here. Here's another capture taken a year earlier. 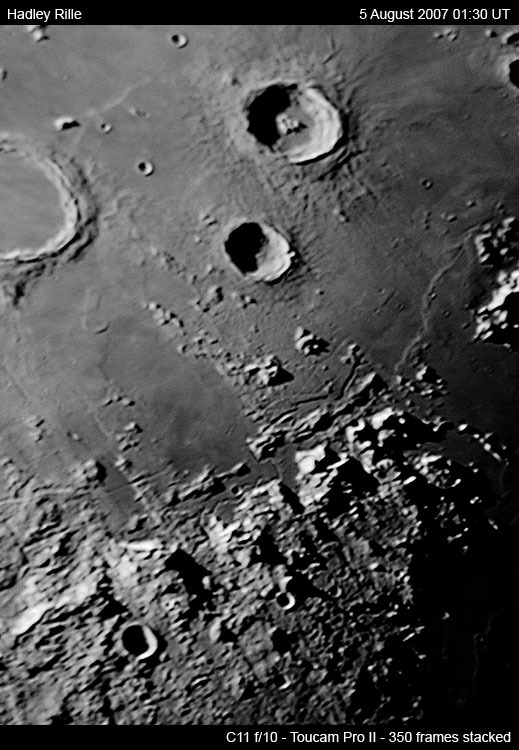 The rille is seen in this image towards the lower centre.